No, not a random collection of things, but Things – the excellent task management app I’ve been using on my iPhone for the last few months. I’d been looking for a decent way of doing task management between my phone & my laptop, and everyone I talked to was recommending Things. Being the cheapskate that I am, I only bought the app for the iPhone (and not my laptop); even at that I was reluctant to pay £6 for an iPhone app. I can honestly say it’s been the best £6 I’ve spent! I’ve been using Things for a few months now and it’s so versatile. Highly recommended! Once I rejoin the world of the employed I’d like to get hold of the desktop Things application as well. If there’s one thing that Apple have got down to a T, it’s packaging design. They know that it’s about so much more than the product – it’s about the whole experience, from looking, to purchase, to unpacking, to setup. 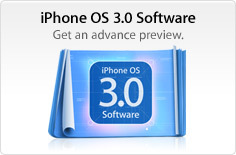 I recently upgraded to Snow Leopard, and was reminded how much fun it is to use Apple products. It’s so beautiful and intricately packaged. Wonder how many people use Apple for that reason alone? A recent HBS Daily Stat noted that there are over 133 million blogs (as indexed by Technorati). 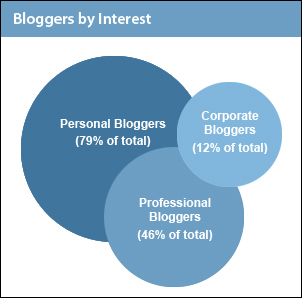 A survey of 1,290 registered bloggers in 66 countries found that 79% blog about personal interests, 46% blog about their industry or profession, but not in an official capacity, and 12% blog on behalf of their companies. I’m interested… who do you blog for? Shame it’s going to be the summer before it’s available, but it looks like it will make my iPhone experience much much better. How about you, what do you think? What’s still missing?